Ali is a trained administrator who, as well as raising two children, was the person mainly responsible for keeping the family’s various business adventures on track. Very much Yin to Andy’s Yang, Ali brings order to what would otherwise be chaos. 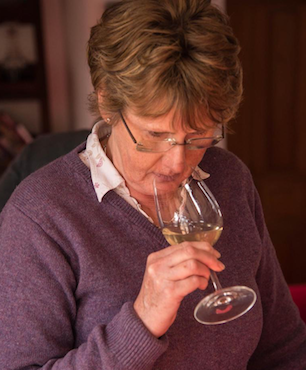 She is blessed with a naturally good “nose” which she continues to train using the WSET structured courses. Ali is a fanatical gardener and often tackles the vineyard chores in a similar spirit. To relax, she paints in the Chinese style and loves cooking for the family.